With the summer months coming to a close and the manic tourist season slowly dying down, it is an ideal time for visitors to explore their surrounding area. Whilst in Fowey, there is plenty of galleries to wander around and cultural heritage points to find. Whatever the weather you will discover something interesting to do and of course, the views are breath taking from various locations around the village. Du Maurier Country guided walk. The Daphne Du Maurier trail begins at Castle For and ends at Twardreath, with Fowey in the middle. The whole trail can take around two days to walk along, but if you aren’t a keen rambler, you can explore some sections with ease, such as the route walked by the author herself on her wedding day, up to the secluded church Lantrglos. Alternatively, as you leave Fowey, pass her former home at Readymoney Cove and climb onto the turbulent coast path. Enjoy the grounds and surrounding woodlands of St Catherine’s Castle, one of the small artillery forts built by Henry VIII in the 1530s to defend Fowey. The first part of the walk is via Readymoney Beach, and is a gentle slope down to the beach. From then onwards the walk gets steeper and includes a bit of a climb through the woodlands which can be slightly muddy in wet weather, but views of the surrounding harbour and sea are worth the walk. 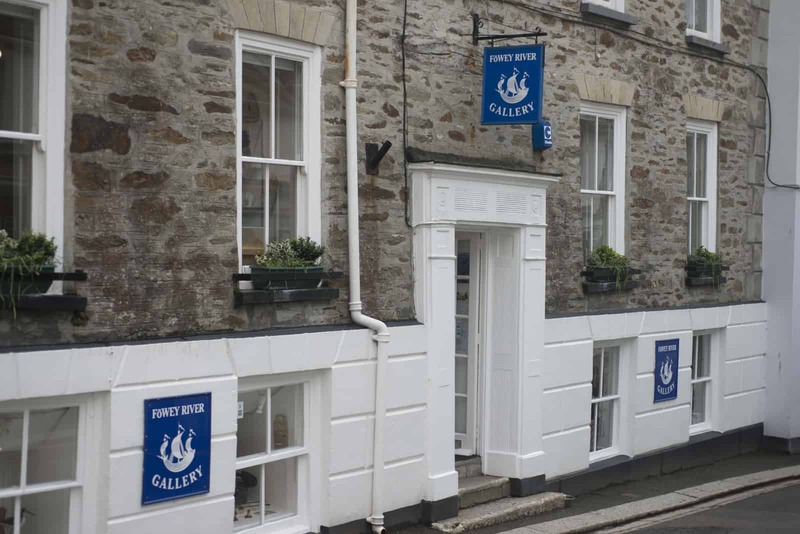 Founded in 2000, Fowey River Gallery is considered to be one of Cornwall’s premier art galleries. It is based in a Georgian building in the heart of the town, with dynamic artists exhibiting their work on the grand first floor. The lower floor holds an wide array of gifts, jewellery, cards and much more. The gallery and shop are open 10am – 5:30pm Monday to Saturday and 11am till 4pm on Sundays. Lanhydrock House is only a twenty minute drive away from Fowey and is well worth a visit. The National Trust house and garden is set in a wooded parkland, perfect for visiting when the leaves turn autumnal. The house has fifty rooms which are open to view, including fully furnished servant rooms, bedrooms, a nursery and a impressive kitchen, many of them with beautiful views of the landscape and garden. Slightly further afield in Looe there is a selection of some of the best photographic art in Cornwall. Artists such as Ruen Hope are currently being exhibited in The Old Lifeboat Station, who captures Cornwall in a unique way.